If there is one bakery good that is a weakness for me it is a chocolate chip cookie. My love of a good chocolate chip cookie has been well known and documented for a very long time. I've been known to be influenced by a good chocolate chip cookie. Oh yes, co-workers in the past would often bring me a chocolate chip cookie as a good-natured "bribe". 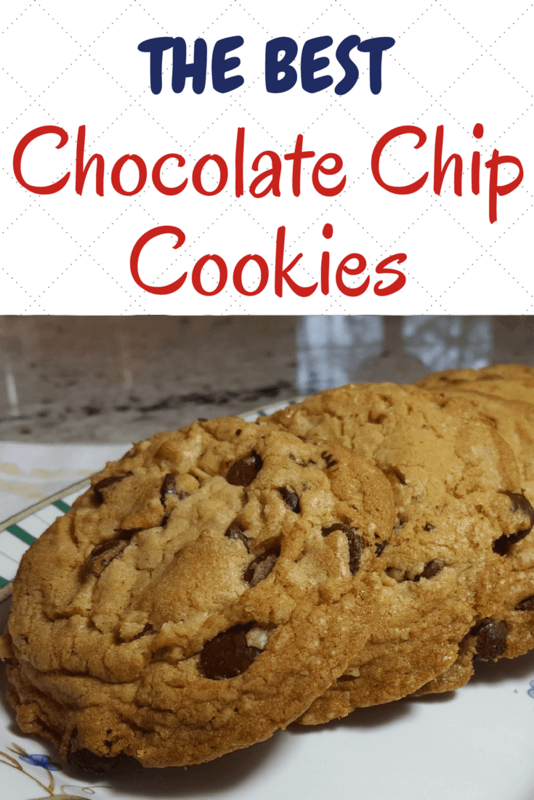 My go-to chocolate chip cookie recipe is the traditional Toll House cookie recipe. You know the one. It's on the yellow, Nestle semi-sweet chips package. That's the recipe my mom always made and it is the one I've made for my family for years and years. As a result, the Toll House cookie is the standard by which I measure all other chocolate chip cookies. Even though I've made the Toll House chocolate chip cookie for years and years, it doesn't mean I'm not open to suggestions for an improved cookie. When I saw the Perfect Chocolate Chip Cookie recipe by Cook's Illustrated I sat up and took notice. After all, they called it the "perfect" cookie. That sounded like a challenge to me and I decided to bite. Literally. If this recipe could improve upon the Toll House cookie even better. Inspired, I went into "test kitchen" mode and wanted to share my results with you. 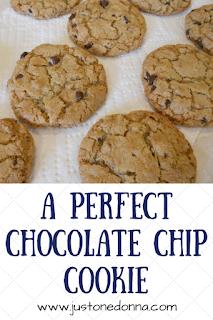 Who doesn't want a "perfect" chocolate chip cookie? When you read through the CI recipe and you'll see there are four specific differences in this recipe's method when compared to the original Toll House cookie recipe. It uses a greater amount of brown sugar to increase chewiness. The butter is melted and browned for enhanced flavor and chewiness. One egg plus one egg yolk is used instead of two eggs, again to enhance chewiness. There is a whisk and wait approach in this recipe that allows for the sugar to dissolve more before baking for better flavor and texture. Preheat the oven to 375 degrees F. Line your baking sheets with parchment paper. Ordinarily, I would place my chocolate chip cookies directly on an ungreased cookie sheet, but I decided to follow the recommended approach. Measure your flour. The recipe recommends measuring by weight, so that is what I did. Whisk the flour and baking soda together. Set aside. Heat ten tablespoons of butter in a skillet over medium-high heat until melted, about 2 minutes. Swirl the pan constantly, cooking the butter until it is golden brown and has a nutty aroma. That will take 1 to 3 minutes, depending on your stove. You can also just melt the butter without browning it. I've done it both ways. Remove the skillet from the heat and pour the butter into a heatproof bowl. Add the remaining butter and stir to melt. Add the sugars, salt, and vanilla to the bowl. I made a substitution here. I only had light brown sugar in my pantry so I used that instead of dark brown sugar. Stir to combine. Add the egg and egg yolk whisking to combine, about 30 seconds. Let the mixture stand for 3 minutes. I actually used a timer for this. Repeat this 30-second whisk/3 minute rest process two more times. With a rubber spatula or a wooden spoon, stir in the flour mixture until combined and no flour is visible, then add the nuts and chocolate chips. Stir to combine. Divide the dough into sixteen portions or about 3 tablespoons each. I used a scoop to measure out my portions and ended up with fifteen cookies instead of sixteen. You'll want to cook only one tray of cookies at a time for 10-14 minutes, rotating the pan halfway through the cooking time. In my oven, the cookies take the full 14 minutes. The verdict? Delicious! Yes, these are very, very good. They do not taste the same as the Nestle Toll House cookie. 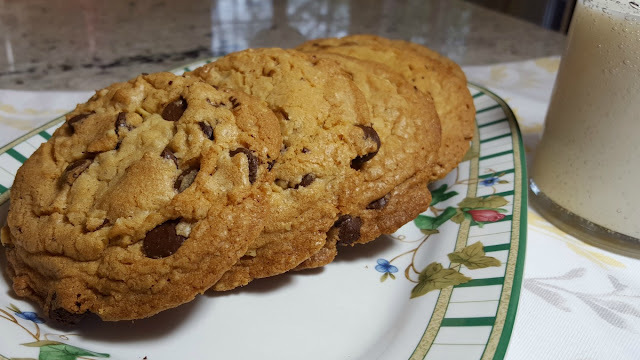 This technique results in a different, but very delicious, crisp and chewy chocolate chip cookie. I love the cracked tops. These cookies look beautiful. This recipe is definitely worth Baking if you like and crisp cookie on the edges with a chewy center. I'll be making them again, for sure! 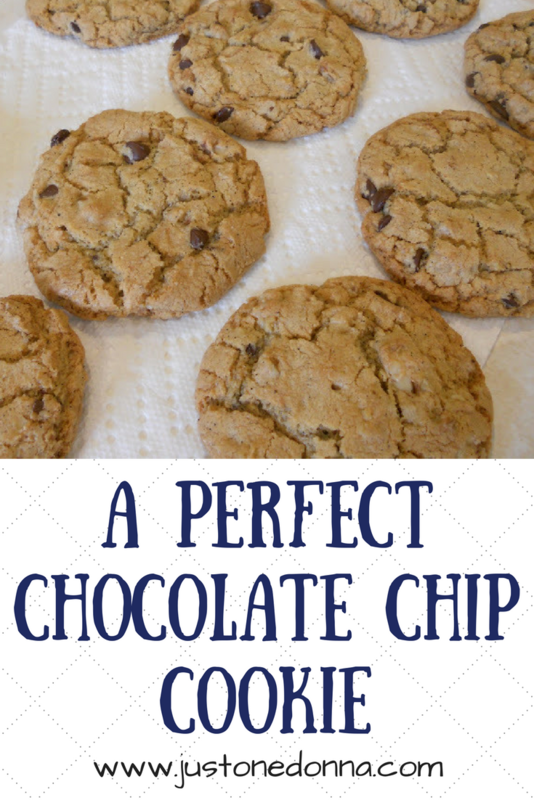 Click the link for the Cook's Illustrated Perfect Chocolate Chip Cookie original recipe. Chocolate chip cookies have always been my favorite. I love cooking them and having that delicious scent fill my house. I'm excited to try this!